Manches de violons bleus. 1987. Silkscreen. 150 ex. 46×41,5 cm. 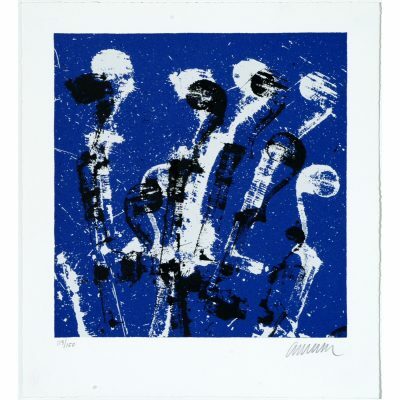 Manches de violons bleus. 1987. Silkscreen. 150 ex. 46×41,5 cm. Signed by the artist. Publisher GKM.